With only 4 ingredients plus being super quick to make these GAPS Easy Chocolate Truffles are a win-win recipe to satisfy anyone’s sweet tooth! Plus, they are also great if you follow the Paleo diet or just want a good-for-you real food healthy dessert! It is not often that I have a hankering for something sweet. But, when I do, these GAPS easy chocolate truffles hit the spot! Using ingredients that I normally have on hand, being quick, easy and tasting great, they are my kind of recipe! I am much more a salty foods person. Give me chips or cheese and crackers and I’m happy. That being said, there are times when nothing but something sweet will satisfy. Think – Coconut Oil Chocolate! Since Chocolate Truffles are so quick to make, it is a great recipe to have for a last minute treat! These GAPS Easy Chocolate Truffles only have 4 ingredients! You mix it all together in one bowl, chill and roll into balls. Don’t think that just because they are so easy that they cannot possibly taste good. Ohhh, contraire! They are delicious! So, be quick about it, get up and go make some right now! You’ll be glad you did. As a matter of fact, I think I’ll go make a batch too (when I’m finished here) since I have eaten them all! Easy GAPS Chocolate Truffles has cocoa, in them, is cocoa GAPS legal? 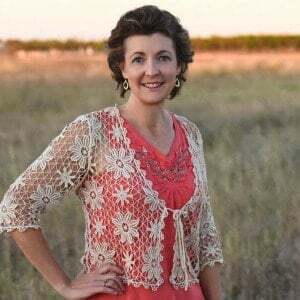 What if I eat Paleo, Keto, or Whole30 – are they allowed? Cocoa is allowed on the Paleo, and Keto Diets. Whole30 allows it only if is 100% cocoa. But, Easy Chocolate Truffles are sweetened with honey which is not allowed on the Keto or Whole30 diets. So if you are on Whole30, you will have to wait – sorry! But, for Keto, I have a modification for you! To make these keto friendly – think of the popular “Fat Bombs” – instead of honey, you can add erythritol which is a keto friendly sweetener. Because you are going from a liquid sweetener to a granulated sweetener, we need to adjust the liquids in the recipe. So, remove the honey from the recipe and increase the liquid by adding 1 Tbsp – 2 Tbsp coconut cream and sweeten with erythritol. Start by using 4 Tbsp erythritol and adjust to taste. Continue with the recipe and add more liquid if necessary. Since Chocolate Truffles have coconut oil in them and coconut oil is liquid at room temperature (around 75°), be sure to refrigerate them until you are ready to serve. Any-who, these definitely rank high on my list for an anytime treat! With their healthy ingredients, I love keeping them on hand for a quick treat and indulge at will! After all, what a great way to help get your daily dose of good-for-you coconut oil? Try adding liqueurs (if not making for kids) like bourbon or whisky. 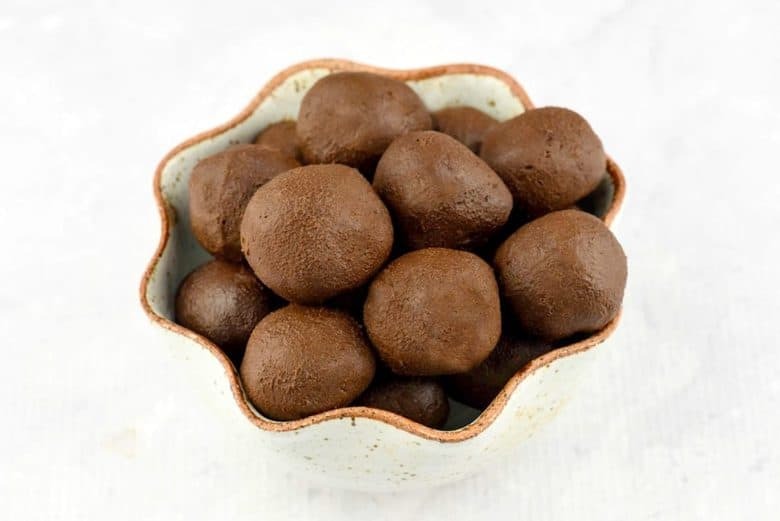 If you’ve tried these GAPS EASY CHOCOLATE TRUFFLES or any other recipe on Cultured Palate please take a minute to rate the recipe and leave a comment letting me know how you liked it. I love hearing from you! You can also FOLLOW ME on PINTEREST, FACEBOOK, INSTAGRAM, YouTube and TWITTER. GAPS Easy Chocolate Truffles - 4 Ingredients! 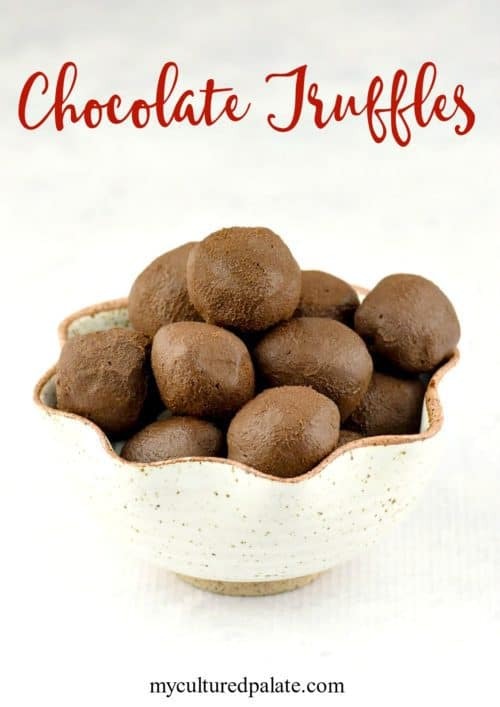 These delicious chocolate bites are easy to make and actually good for you! So, stop depriving yourself and enjoy a GAPS legal real food treat! Mix all ingredients in a small mixing bowl. Use a fork and make sure to mix well. Cover and place in the freezer for 15 minutes or until firm. Using a teaspoon, scoop out a spoonful of the hardened chocolate and roll it in your hands - be gentle because it softens with the heat of your hands. If desired, coat each truffle with cocoa powder or shredded coconut. Place on a plate and cover. I like to keep mine in the refrigerator for a quick treat! Since Chocolate Truffles have coconut oil in them and coconut oil is liquid at room temperature which is around 75°F, be sure to refrigerate them until you are ready to serve. Beautiful chocolate truffles! Such a decadent treat! These truffles sound delicious! I love that you use coconut cream in them. I love how easy and GAPS-friendly these are. 🙂 Can’t wait to try them! Raia, I have really enjoyed them on the GAPS! These sound so delicious and easy to make! My toddlers and I love to make things together… we will have to give these a try! Melissa, they would love to help roll the truffles and then the best part – lick their fingers! I love making chocolate truffles, thanks for all the tips! Rusheeay, I am so glad – they are delicious!